Those of you who have watched my video Drive 4 Dough are familiar with my concept of bump, dump, and turn when discussion the transition. For those who have not seen it, this article and video are a great place to start. When talking about the golf swing, I don’t teach anything about what happens after the transition. Or, more specifically, I don’t tell anybody to try to do anything consciously after the transition. This didn’t begin on purpose or by design. Rather, it slowly dawned me as my experience as a teacher grew. I always got the best results with my students by focusing on making changes in alignment, setup, the backswing, and in transition. Over time, I’ve come to appreciate that this is no accident. Everything that happens in a golf swing after the transition, occurs so quickly, that it is essentially a foregone conclusion and cannot be manipulated consciously. In turn, if you want to see changes in your golf swing that manifest after the transition, you need to make conscious changes somewhere before that point, and let the results take care of themselves. All that said, the transition has an enormous influence on what happens at impact. And for those that may not have heard the term before, the transition is the point in the golf swing where you transition from the backswing to the downswing. 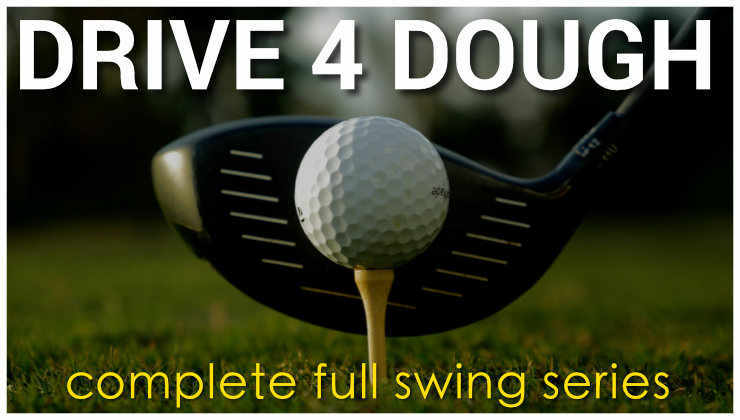 It’s a critical piece of every golf swing, and a common place where good back swing go to die. 1. The ones who love it and either work on this already…or are going to immediately go out there and work on it. 2. Those that don’t agree with it. Most people won’t be able to consciously, bump, dump, & turn on command, and frankly, most don’t need to. A more common approach would be to assess your swing and discover, for example, that your transition is out of sequence. You bump, turn, and dump, so to speak. This is the classic “arms trailing the body” malady that I discuss endlessly on this blog. 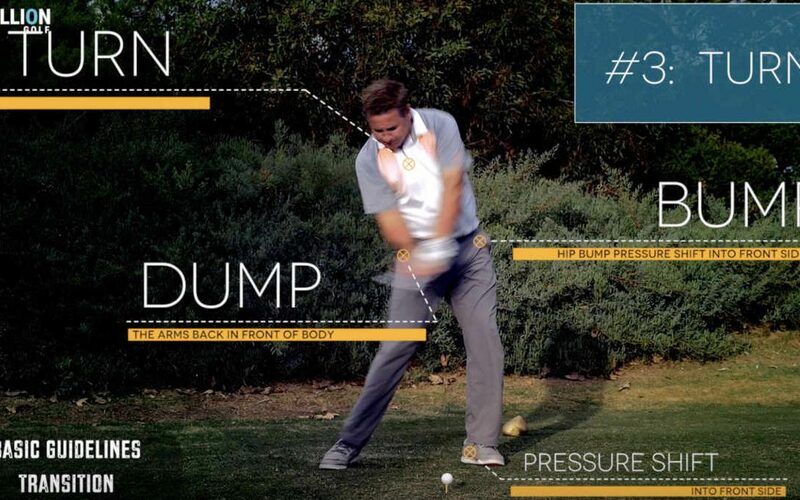 So for that golfer, the way to use the concept presented in this video would be to focus on dumping sooner than feels natural to them, because they are dumping after their turn is well underway, and need to reverse that portion of their sequence. Happy New Year. The scariest shot in golf. I enjoy your blog, and like the BDT video (bump, dump and turn). But please make at least one real swing showing us the sequence! If that’s only part of your paid service, I would understand, but if it’s an oversight, then it would help us integrate your thoughts better. If I lived in SoCal I would be out to see you, but I up here in the San Fran Area. Love the blog – I’m rooting for you in those qualifiers! Focus on target, then make the bump, dump and turn in one single motion, if it does not happen the first swing, do a few more until it starts to happen. Its a fluid motion, not isolated events. Patience is key. Monte, thanks for the recent video’s on proper shoulder tilt and sequencing. The tilt instruction was especially helpful and turned my “pull/cut” into a “push/draw” within 5 balls. I didn’t realize how flat I turned the shoulders. Finally feeling the “turn 90* to spine” and all the benefits it brings. Once I get a camera I will be ordering a 3pack lesson from you! Monte can we do this move while working on the 9 to 3 drill ? Now I am quite happy turn is only possible if bump and dump have took place if your weight shift is OK. Focusing on the turning alone is enough. It has to happen BEFORE you hit the ball. 90% of the amateurs don’t do that. Oh and you cant do B/D/T hitting from your shoulders only! I have the exact same problem Peter. Monte gave me some drills to try and help it. That’s not easy to do Monte, bump and right shoulder at the ball. In fact it is imho impossible to do for people like Eric and me. We hit the ball while our hip is square to the stance or line to flag. The Turn of BDT never occurs BEFORE the shot. What I do and its working quite well is start with the turn. What happens is I do Montes BDT correctly. It is not impossible to do. The last three people who told me it was impossible, now do it. I hear the same thing from people who try to shorten their swings. You have to make an effort every swing. After 10 buckets, probably won’t notice it. After a month, you notice a small change. After 6 months, you are doing it. I like your ideas Monte but I disagree in this, do something for 6 months and it will get better and you will then notice it. I think, no I know this for sure, that something that is a good change in your swing must show itself immediately, it will not show itself at every shot and fully but it will and it will get better. & months and puufff its there is magic and nonsens. If one of my patients brushes teeth once the teeth will be whiter if he never saw a brush and white after 6 months maybe. I know this from the shortgame where I turn earlier. Of course I bump and dump before but I am concentrating on the turn so it happens BEFORE I hit the ball. Eric and I we have a timing problem. If we change the timing the Ball will go farther immediatedly. It does occasionally in a season up to 280 yards and I hit over the green as if I had two irons less in hand. I just realized why! If Eric would not be square hipped at impact but already turned he would not be able to hump the goat. I mean only if the goat would stand to the flag left of him. Eric hump the goat left of you not in front of you at impact. That’s about it. See how your balls fly longer AT ONCE! The reason you have trouble getting your hips forward and hump the goat is because you pull the handle. That also make it hard to get the right shoulder down and around the spine. Initiate the downswing with the bump and right shoulder to the ball, instead of pulling on the club. No more goats and more distance. Try and pull the grip really hard and get your hips forward in a practice swing. You will see that is what creates the “impossible” feel. 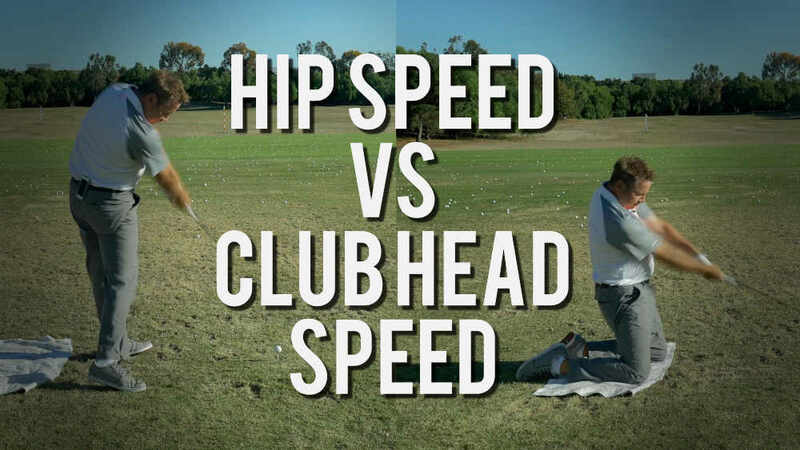 if you start the downswing by bumping and allowing the lower body to unwind…no more goats. Monte is spot on, and I would buy his advice and even pay him 100$ for this one. 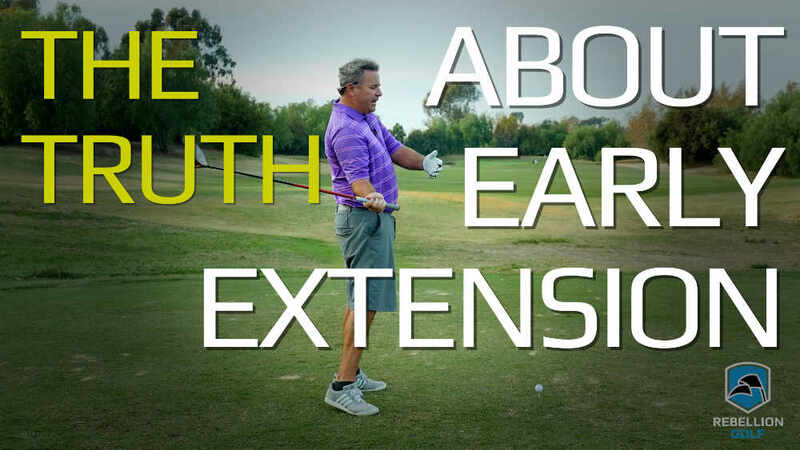 Early extension is a common compensation for a steep angle somewhere else in the swing, take the steep angle out and then you can get rid off the early extension, or keep both and don’t bother. How do you keep the bump from becoming too much and getting too far ahead of the ball? Some people’s bumps are like bumping with a semi truck..
Great question as most people don’t understand this. It’s not the lower body getting too far forward, it’s the upper body getting too far forward. Keeping the upper body back creates tilt and allows the turn to happen. As I recall, this was an issue you struggled with. Hey Monte would do you think your video is kinda like this one? Sorry cant post in right area from iphone. Sorry Monte thats right but not possible. Eric my fellow goathopper will also tell you that he gets himself in a position by his initial shoulder turn that makes him unable to turn his hip. You have to actively swing from your pelvis and let the shoulders turn passively. Its not an early extension the name is bull, its a late turn by blocking the hips with active shoulder turn. Eric the goat can cure this within the bucket. Could you please try Eric, hit some with your arse and not your shoulders and tell us. That’s why the right shoulder has to go to the ball and around the spine, instead of crashing into right hip. Doesn’t the right shoulder really”power up” after the dump though? Trust me Monte I am in the boat with Eric and I know what he feels in the swing. I am not saying anything you say is wrong, there is just one more component. Ask him where he thinks he powers the swing from. He will tell you he tries to turn his shoulders real fast and strong. As long as he motors his swing from the upper body, no matter what you tell him will get him square hipped in the impact. He is restant to whatever you tell him. Not for 6 months but forever. Why do you think you drive it 330 yards? Because you have a Schwarzenegger Torso? Man you move your hips like Elvis! If Eric hits them with his hips he will not only hit it longer but also get less exhausted after two full bucktets. Am I right Eric? Tiring hitting balls isnt it? Well it should not! That’s basically my point, he cant unwind it as its fixed as he wants to unwind his shoulders by force and he needs his hip fixed for that. He has to actively unwind his lower body instead his shoulders only then can he bump dump and turn. After following you blog religiously for maybe a year now (I check up multiple times a day), I have felt for the past month that I fully comprehend your method. What I like most is once you truly understand the foundation, you can link every new post or video to the main framework. To someone whose whole life is golf and who probably takes the game too seriously at times, this is an genuinely liberating feeling. I’ve said it many times before but thanks again for saving my game! Maybe if we (your current followers) provided our addresses, maybe you can invest in business cards, send them to us and if we see someone struggling with the common cliches we can direct them to your website. People are not going the remember a web address if verbally given. What do you say Monte? If that’s what it takes. Let’s wait till I get it more professional done. Monte, Do you think I would really gain 50 yards if i got a HammerX driver, as endorsed by the “long drive champ” Jack Hamm, or would it be more like 30-40? What is a typical day for you like ? With the new job and all. Would love to hear about how most of your days go. Like how many lessons do you give a day and how many balls do you actually hit a week on the range. Hi Monte, where does the dump come from? The shoulder turn? Investigating this video more I must admit its pure genious! The bump IS the dump, according to Hogan anyway. It’s like a coin, heads & tails: one goes with the other. But, I suppose differences are to be expected between his system and yours because he believed in windup and coil, and you don’t. Contrary to how it appears in “Five Lessons,” with a lot of talk and illustrations of what “hips” are supposed to do, I don’t believe that Hogan was trying to turn his hips. 1) Backswing is a windup, coil…creates tension in back & side muscles. My guess is that hips get turned (and automatically restricted) by what someone is consciously doing above and below hip level (torso & legs), not by what someone does to the hips themselves. The difficulty of it is explaining coordination–which is the problem–not geometry. I can’t imagine not starting down with the left hip first moving left and out of the way. I actually tried not to do it and it felt strange. It seems almost natural that the left hip will bump out of the way. The easiest way to transition is with right knee flex down and targetward–see Johnny Miller as an example. If you flex the knee down it bumps the left hip and the rest follows. Funny you mention that as up until around the time that this video was originally posted by monte I did not start the downswing with the hip bump. I used my arms to swing down and man oh man did it give me troubles. After starting to use the hip bump to start the downswing it was like opening a door to a new better world! Todd–I would also point you to Abe Mitchell and his book, Down to Scratch. He wound his whole body to his target at address and then commences a very powerful swing. In his day in the 1930s, he was known to hit 300 yard drives with the gear and ball of the day. The left hip bump is preset. You don’t have to consciously do it. The hips have a small rom anyway. 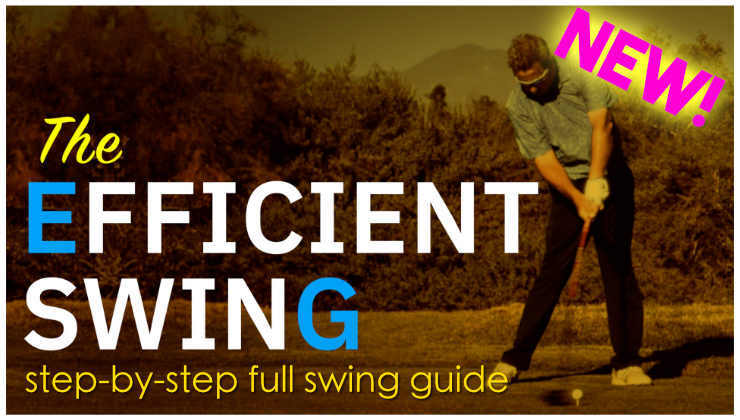 Once you figure that out, you can learn how the torso/shoulder complex powers the swing. Torso has a huge range of motion and lets you really rip it. Ever since I first saw BDT, I cannot help think that this is a modern way of describing Pennick’s Magic Move. Do you agree? Even if not, it certainly gets the turn in sync and gives one hope! Ive watched this video countless times. My problem has always been the “dump”. The bump I get. I get that the left hip starts the transition…That you don’t start simply by “clearing the hips”. I do that, and my arms get stuck and I hit a big push. But I can’t get that dump. From you monte, I learned that pulling the handle will kill me. Probably the best advice I’ve ever had, no joke. So I consciously try not to do that, but when I try the dump, I almost feels like I’m getting in that “pulling the handle position”. Or at the very least, the dump move (in isolation) feels like I’m not releasing the club from the top (your third best advice). So my dump ends up feeling like that stupid Sergio drop the hands move which only ends up in people getting injured on the next fairway over. Don’t get me wrong, I’ve been hitting it extremely well recently, but when I am hitting it bad, it’s because of that transition that you mention. my hand goes straight to the ball from the top and you can see the weird OTT move like in my golfwrx flip flops video. The lateral shift, gravity and lack of excess tension in the arms, creates the dump. I love this video. 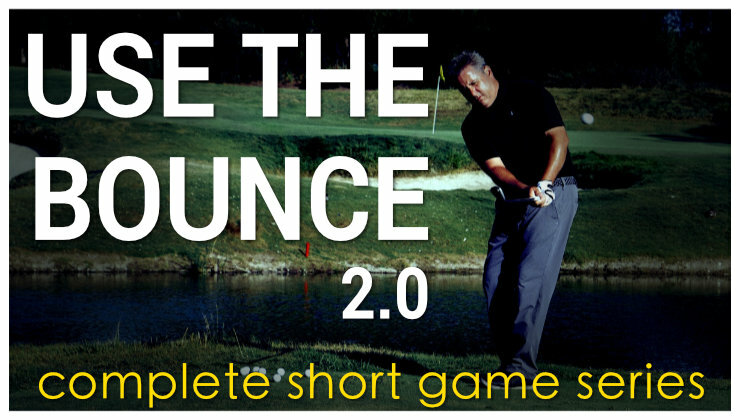 It’s in my top 5 all time useful golf videos – seriously. It’s simplified so much for me what I should be doing in the transition and how I should be sequencing. I’m a terrible flipper and the concept of turning into the ball has been a massive help. Sometimes I just hit some 50 yard shots trying to keep the arms passive and getting the club to the ball by turning, rather than using my hands and arms. I’ve got a LONG way to go but great stuff. I like the concepts and the discussion. I think patience is the key and also the idea that it’s interesting experimenting with new ideas. Maybe not expecting things to be fixed or translate immediately into lower scores. 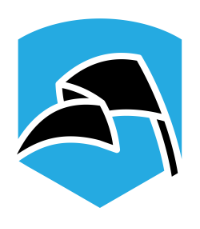 Having a few 9 holes and just trying things is useful…as much for the different experience of the game as anything. I’m in my third week of trying this and every now and then I nail one…trying to groove it will take more work. Great to read other players’ views. 1. You need to take away the club on plane; a. During backswing and club is parallel to ground check club-head is not inside your hands, b. at halfway back (left arm parallel to ground, check handle is pointing to target line or just inside. 3. At the top ‘bump’ hips a little and instead of thinking drop arms for dump, try thinking right side bend, or right side oblique crunch. You should feel your obliques crunch right up, and your turning this whole time. 4. You need to literally blend all this together, so when your staring and looking at the ball and your brain says ‘hit it, go on son, rip em one’ – the above description happens in steps 1,2,3.